Russia’s VTB bank has directed the St Petersburg Arbitration Tribunal to initiate legal proceedings against Olga Pleshakova, her spouse Alexander Pleshakov and his mother Tatiana Anodina, claiming their subsidiary liability in respect of the bankruptcy of Transaero Airlines. According to the bench ruling, the total amount of the suit exceeds 249.2 billion roubles (US$3.85 billion). After national carrier Aeroflot, Transaero was Russia’s second largest airline by passenger numbers when it ceased operations in 2015. It was subsequently declared bankrupt in 2017. VTB and its subsidiaries, including VTB Leasing, were among the airline’s major creditors, their loans amounting to 9.4 billion and 19.3 billion roubles, respectively. 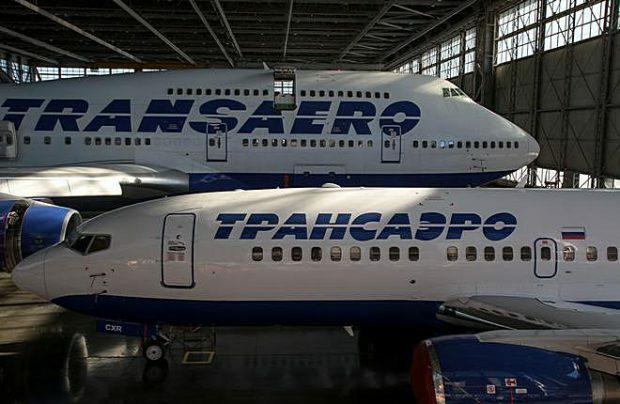 The total amount of Transaero’s pending debts to its creditors was estimated at 250 billion roubles, which explains the scale of the current claim. Tatiana Anodina and her son and daughter-in-law jointly controlled some 53 per cent of Transaero’s shares and the Pleshakovs held high-ranking executive positions in the airline, the bank explains in a filing. Alexander Pleshakov chaired the board of directors whilst his spouse Olga was general director of the airline between 2001 and 2015. Tatiana Anodina, who has been at the helm of the Interstate Aviation Committee since the 1991 foundation of this certification and accident investigation body, was also on the airline’s board of directors and owned three per cent of Transaero. Evgeny Gurchenko, the lawyer representing Transaero’s owners, argues that his clients object to the bank’s claims. “The company’s accounting reports were not in any way distorted, were always disclosed in due time and were continuously audited by taxation authorities, auditors and other oversight organisations – including the bank itself,” he asserts. The lawyer also insists that, during the said period, Transaero’s managers did not indulge in any transactions to withdraw assets, and its subsidiaries directed all of its earnings to covering outstanding obligations. “Arguments about Transaero’s bankruptcy in 2012 contradict a whole range of court rulings, which are now in force and which confirm the airline’s solvency throughout the period of Olga Pleshakova’s term,” Gurchenko adds. Transaero’s major creditors are VEB-Leasing (42 billion roubles), Gazprombank (13.6 billion roubles), VTB’s subsidiaries (19.3 billion roubles) and VTB (more than 9.4 billion roubles). The company’s asset salvage value is estimated at just 1.5 billion roubles, some 150 times less than its total debt obligations.